Our Creative Curriculum is bespoke to our pupils needs. Social, moral, spiritual and cultural learning is embedded throughout our curriculum. It is vital that we have a shared understanding of teaching the curriculum creatively in order for our children to learn and grow! Our Creative Curriculum provides memorable experiences and rich opportunities for high quality learning focusing on skills that are appropriate and relevant to all our pupils. Learning is meaningful and put into context. Our themed topics should begin with a Wow and end with a Wow! The creative curriculum was originally developed from QCA units of work, Themed topics which provide a broad and balanced curriculum showing progression and continuity. A 2 year cycle for each year band, years 1&2, 3&4 and 5&6. Each themed topic has a dominant subject focus which needs to be followed throughout the half term. The subject focus will vary between topics to ensure good coverage of all curriculum areas. Each topic is planned half termly within year bands. We must recognise the importance of sharing resources and evaluating topics so we continue to develop and improve our own teaching and the experiences for the children. Overall we want our children to feel cared about, happy, secure, motivated and stimulated. 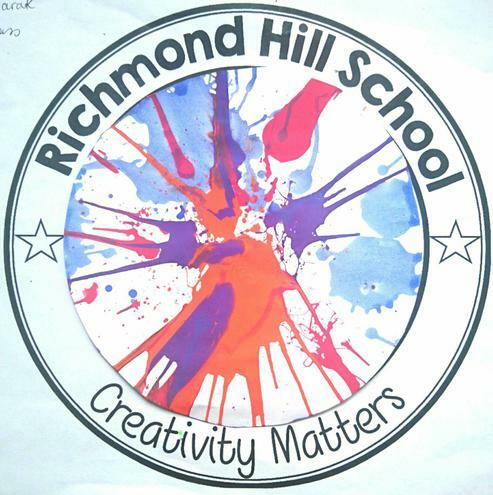 The Creativity Matters mark for 2017-18 has been designed by Evelina.